Is it a Good Idea to Buy and Import a Car from the U.S. to Canada? If you’ve found yourself complaining that the cost of purchasing a vehicle within Canada is much more expensive than purchasing the same car in the United States, you’re not alone. However, with the U.S. recession having a huge impact on economies worldwide and the Canadian dollar rising, some have found more success purchasing cars in the U.S. and importing them back home. If you’ve already considered this route, know what to expect before, during and after a purchase ahead of time, including import regulations, fees and more. You never know; after exploring the process, you may decide that buying and importing U.S. vehicle to Canada isn’t your best option. Comparisons between Canada and U.S. vehicle prices show that Canadians pay almost 20 percent more than Americans for their new vehicles because a large number of auto manufacturers are located in the United States. This adds up to between $5,000 and $6,000 more per vehicle, on average. Car manufacturers are known for justifying the price difference by claiming the lost dollars must be made up, but it seems some Canadians don’t feel the explanation is good enough and are instead taking their business south of the border in hopes of finding a better deal. 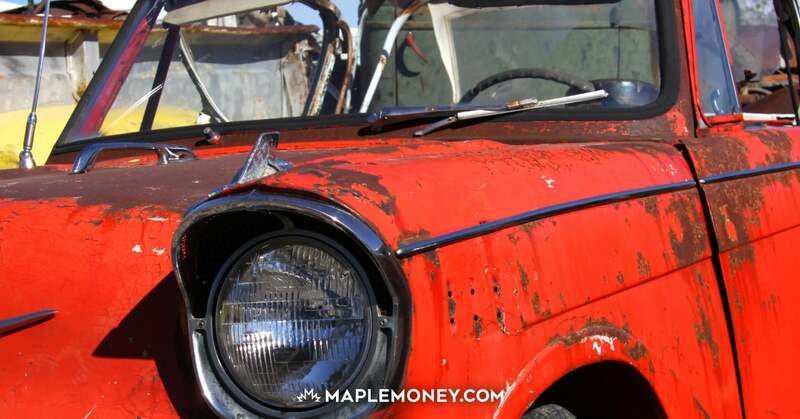 Exchange rate: The Canadian dollar is about six cents higher than the US dollar, which means a $20,000 USD car could cost you slightly above $21,200 CAD. RIV Fee: The Registrar of Imported Vehicles (RIV) requires buyers to pay a fee of $205 plus their Goods and Services Tax (GST) in all provinces. A Quebec Sales Tax (QST) is required for that particular province. Shipping costs: If you cannot drive the vehicle yourself back across the Canada border then you may need to factor in shipping costs from a customs broker. High emission excise tax: If a vehicle you want to purchase has a high emissions excise tax (also known as green levy), you could pay $1,000 to $4,000 extra for your vehicle. Check the potential vehicle tax at the Natural Resources Canada Website. Other costs: Some other possible costs include air conditioning excise tax ($100 CAD) and duty (6.1 percent) if the vehicle wasn’t purchased in North America. It’s possible that after adding up all of the costs you’ll incur with purchasing from the United States, buying the car won’t be worth it. Be sure to consider all of the above expenses before making the purchase. Find a reputable dealer: It’s important to find a dealer that you trust will know how to help you import your car and ensure it is safe and reliable. To confirm a car is in quality condition, you could order an inspection from Carchex.com. Check out additional inspection requirements: The RIV is a great resource for helping potential buyers determine what a vehicle needs in order to pass federal inspection requirements. Secure financing and purchase the car: Since Canadians can’t obtain car financing in the United States, you will need to explore your financing options at home before making the purchase. Prepare to visit Canada Customs: After you’ve purchased your vehicle, you’ll need to secure your vehicle title, bill of sale and VIN number so that when you reach Canada Customs, they will release your car. Also, don’t forget your driver’s license and passport. Deciding whether to purchase a vehicle in the U.S. is a considerable decision that requires lots of research. However, if you’ve weighed your options and find importing your new vehicle across the border is financially beneficial, it could be the right choice for you. Danielle Nagami is from Go Banking Rates, bringing you informative personal finance content and helpful tools, as well as the best interest rates on financial services nationwide. It is also worth noting that some cars sold in the US are not identical to their Canadian counterparts and differ in safety areas such as bumper heights, meaning serious changes are required to get them registered in Canada. I priced a 2012 Ford Mustang GT Convertible @ Ford Canada – $46985. Priced at Ford U.S. – $34145. The difference with the Canadian dollar actually higher valued that the Yankee Greenback sure looks like Canadians are getting ripped off. Even if the trim levels are different, you should have a less expensive model available in the Mustang GT Convertible. Wow, 20% more for cars? I’d be going south of the border too. hey thank a lot for the infomation. I was not knowing that some cars sold in the US are not identical to their Canadian counterparts and differ in safety! I means its very attrative to buy product cheaper in the U.S since the canadian dollars raising but i never spend a thought about that they can have some stuff not approuved by Canadian law and allowed there. Very nice site by the way, event if my english not so good (im from québec city) i like to get myself informed by article outside the “québec mentality”. Yeah, great article. Majority of my purchases are from the USA as Canadian retailers are still robbing consumers. In 2007 with the high dollar I purchase a 2005 Nissan 350z for $10000 less than the Canadian market. Now I am looking at grabbing a WRX STI. Key thing you forgot to mention that Alex C brought up…..Safety. Before buying the car, find out if it will me Canadina safety standards….and if it won’t, what would be required to bring it up to standards. In some cases its as simple as installing DRL (day time running lights). Don’t forget the cost of inspection (mandatory) as part of registering an import. As a Canadian I can relate to this, I’ve taken a few cars back over the border now and it’s not a complicated thing to do once you’ve got the process nailed down. Especially now that the dollar is at par. The only thing that ever bit me was the warranty and credit / financing, once that’s all sorted out it’s a breeze. Great article. If the Canadian dollar is higher than the U.S. dollar, then the value of a $20,000 U.S. car should be less than $20,000 Cdn. Before you import a vehicle to Canada it is important to check to see whether it is admissible as per Transport Canada, whether the warranty will be honoured, and whether there were any recalls also. This will help avoid being disappointed and could save you a ton of money in exporting a vehicle deemed inadmissible. Is this just “some dealers”, does anyone have a list or website of “new” manufacturers/cars that can be sold to Canadians? Big Thanks! For some NEW vehicles,the US dealer will not sell to a Canadian unless you have a US address. This is due to pressure from the manufacture (read Canadian manufacturer influences US manufacturer) and the US dealer could lose his dealership if selling to Canadians. Tried to buy new Chevy Silverado and no can do. Used trucks are no problem and imported vehicles are good too. Just cannot buy a vehicle for which there is a manufacturing plant both in Canada and USA. Could I use my aunt address in the states to buy a vehicle there? The American government added another step to the process in October 2014. Now the vehicle must be filed in the Automated Export System. The result, a 14-digit number called an ITN, must be sent to U.S. customs with the other paperwork. It’s doable, but an extra step nonetheless. Would I essentially be paying double taxes.. Like if I bought a vehicle in the states I’d have to pay taxes right and when I bring it to Canada taxes again? Very important to remember you can not import a brand new model year auto ….has to a previous year model unless this has changed, but i do not think it has!!!!!!!! Did not see any mention of this in the above article. I want to buy a Toyota Tacoma used from Canada and bring it to USA. Good or bad idea, what is rewquired? how about costs? anyone did this before? What did you have to do at the border? What kind of paper work> Did you actually saved money due to exchange rate.? can’t comment on this as I don’t know but I too have a question: I’m Canadian and I bought a 2011 Toyota Highlander from outside of Boston in 2012… money was about par at that time. Great vehicle and I’m now wondering if I can again sell it to someone in the US?? (Exchange is +25% favorable now 4 yrs later) so would be very favorable if I got a fair price… Although, I’d hate to part with it. But just wondering if any issues? It is an American vehicle after all. I financed my car through toyota i worked and lived in usa. Bought my car 6months ago. Now i got a job offer in canada and want to bring my car with me .so i have to import vehicle. I was told to bring in latter from my finance company. I am canadian citizen. So my question is that a finance or leased car can be imported to canada ?